GERMANY: The anticipated wave of power purchase agreements (PPA) for electricity generated by wind farms that are leaving Germany's 20-year support system is now under way. In 2020, 4.4GW of German onshore wind will have dropped out of the 20-year support system, with the capacity rising to about 16GW by 2025. Once support expires, wind farm owners can either close down the project, or sell their electricity into the market. Smaller German onshore wind farm operators generally do not have the means to participate in wholesale electricity markets, and lack the financial resources to ride out fluctuations in wholesale electricity prices. But the first two PPAs for electricity from projects leaving the guaranteed price support system indicate the wind sector has found a way to ensure 20-plus-year-old wind assets can continue to operate outside the state support system. Green electricity company Greenpeace Energy has signed Germany’s first PPA for direct supply of private customers, with wind-generated electricity from citizens' wind farm Ellhöft in Schleswig-Holstein. The five-year PPA for electricity from the six AN Bonus 1.5MW turbines runs from 2021, after renewable energy act (EEG) support for the 9MW site expires at the end of 2020. "The wind farm operator can continue operations beyond expiry of the support period at a fixed price and we can buy the power at a sufficiently attractive price and, at the same time, strengthen the relationship between our customers and our clean power suppliers," said Nils Müller director at Greenpeace Energy. The fixed price can be adjusted to reflect the electricity wholesale market price shortly before the contract kicks in. During the contract period, the price can be lowered or raised if the wholesale electricity market price exceeds or falls below a price corridor to spread price risk between the contract partners, said Greenpeace Energy. "Many older wind farms are in technically good shape and can help Germany reach its climate targets," said Reinhard Christiansen from the special purpose vehicle (SPV) Windpark Ellhöft GmbH & Co. KG. "But this is only possible if the operators have a reliable income to cover operation and maintenance, which is guaranteed by the new type of PPA. The contract protects us from fluctuations in the wholesale electricity market price, and we are convinced that many wind farm operators will follow our example," he said. Greenpeace Energy's announcement on 6 September follows Statkraft's PPA for electricity from six citizens' wind projects with a total of 41MW in the German state of Lower Saxony that kicks in when the sites finish their 20-year wind energy support periods, between 2021 and 2023. They will sell power through the PPA for periods of three to five years, Statkraft said. The wind-generated electricity will be packaged into a supply contract for an industrial company that Statkraft declined to name. The purchase price is fixed and not indexed to other price parameters, a Statkraft spokeswoman told Windpower Monthly. "Operation of the wind farms when support has expired is possible with a market-oriented approach, targeted marketing and efficient turbine operation," said Carsten Poppinga, managing director of Statkraft Deutschland. Technical partner in the project, GE Renewable Energy, guarantees Statkraft the agreed electricity supplies and therefore also its earnings, Statkraft added. 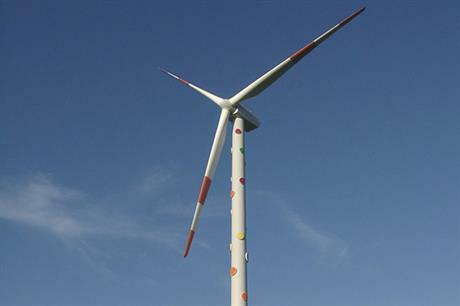 Statkraft currently sells power from around 9GW of wind farms within Germany's support system. Under the new PPA outside the support system, the projects continue to get a fixed price, albeit probably lower than that provided by the state system, but sufficient to cover operations and maintenance (O&M) and to yield a profit split between the contract partners. German turbine builder Enercon has also signed a fixed-price wind power purchase agreement (PPA) using its in-house electricity trading subsidiary to handle the supply logistics. The PPA, initially running for one year, is with the electricity purchasing pool operated by the Association of German Cold Stores and Logistics Companies for its members who are spread across 200 locations in Germany and have overall annual consumption of 1.2TWh. The electricity will be delivered from four wind parks with a total 10.6MW and output of around 0.02TWh per year. continue economic operation after their 20-year support phase, as set by the renewable energy act, has expired.